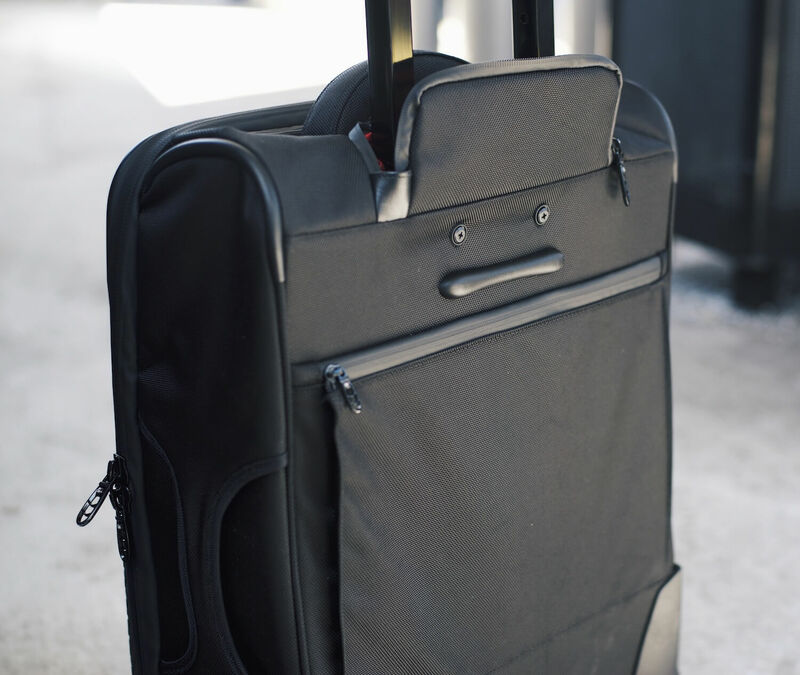 The RW_01.1 Road Warrior by Latitude 56 is the type of suitcase I’d imagine a Concorde pilot rolling through the airport with. The RW_01 has a sharp, sleek design and is clad with the Lat_56’s iconic hexagonal foam exterior. The brand sells two carry ons: the RW_01 and the RW_02. Read more: Latitude 56 Road Warrior Review. I own both and they are very similar. They have the same retail price ($449) the same outer foam front cover, same incredibly sturdy handle, very similar interior. 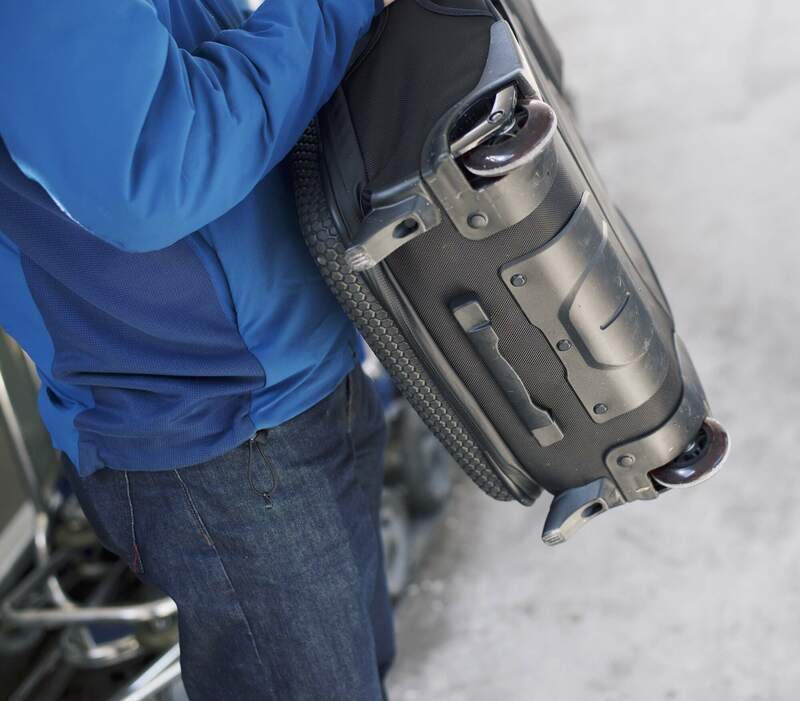 As for weight, this bag is neither light nor heavy – it’s average at around 7 pounds. The wheels are described as “longboard skateboard inspired”, although as someone who used to longboard quite often, these wheels are much more like those on inline skates rather than the wide longboard wheels. Either way, the Road Warrior’s wheels are very smooth and quiet, and will easily take terrains ranging from smooth airport terminals to cobblestone streets. The handle is one of the most common suitcase breaking points, but you won’t have any worries with this handle. 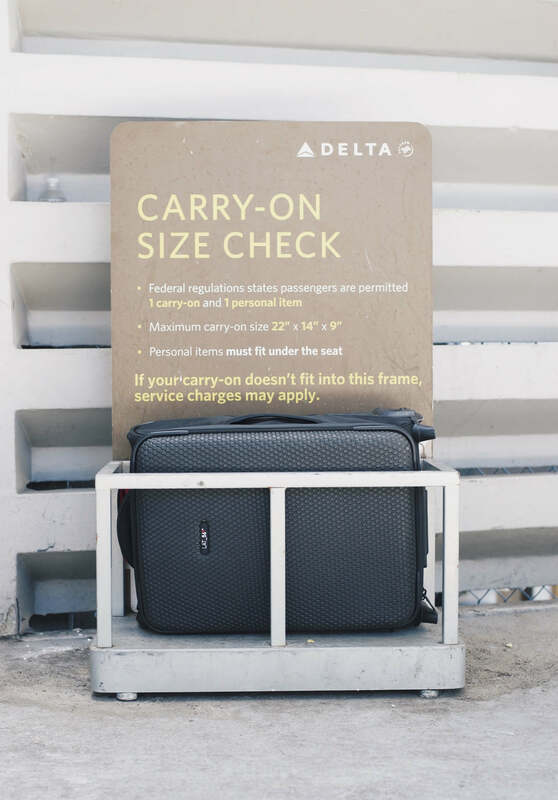 It’s about double the thickness of your average handle, which adds some extra weight – one of the reasons this suitcase isn’t the lightest. This suitcase is well built throughout. All aspects are reinforced, all components feel solid, and most of the exterior is made from ballistic nylon. 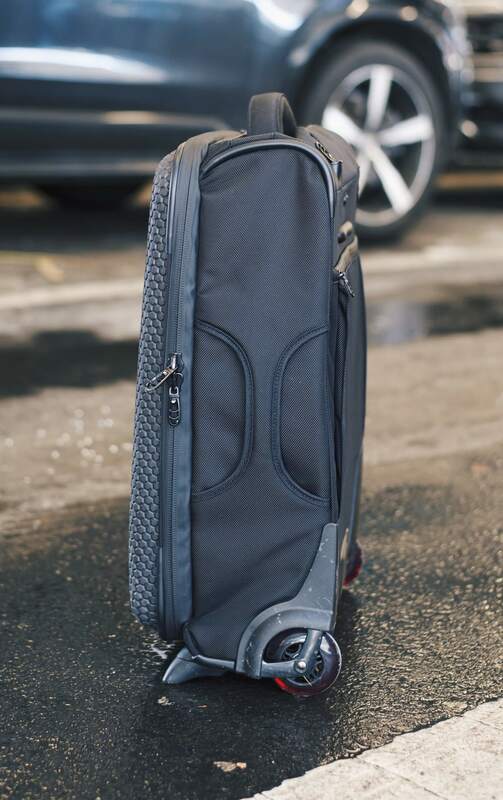 This suitcase only has two wheels. If you want a spinner, go for the RW_02 model. There is no built-in luggage lock, although the RW_01 includes a combination lock. The problem here is I often find myself losing my locks and many suitcases in the market at far lower price ranges have built in locks. The top grab handle is insanely padded, which is a good thing, but the side handle has no padding whatsoever. What is the point of a zippered cover over the telescoping handle? It serves no practical purpose. 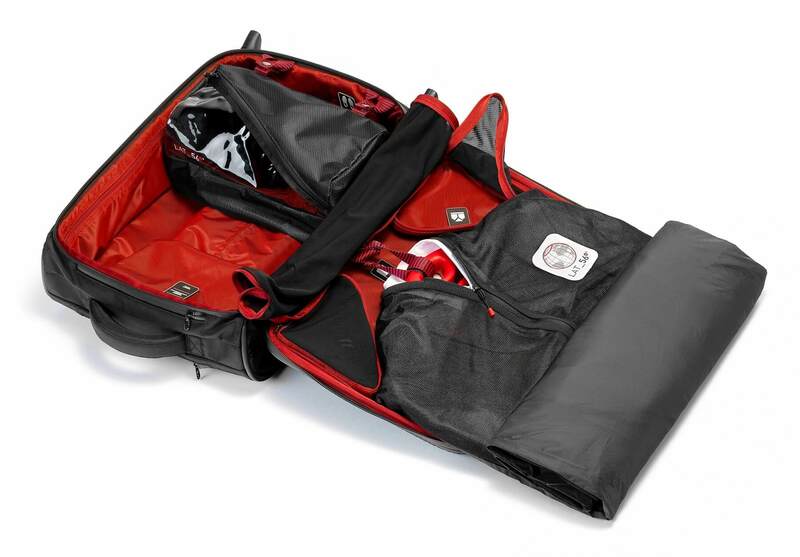 The RW_01 includes a suit packing system, which is basically something like this from Samsonite, except nicer. 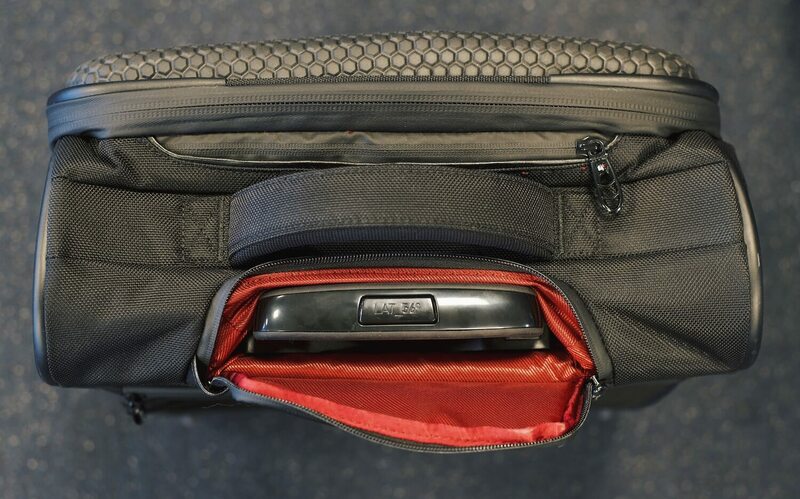 If you’re a business traveler, this is a big perk which the RW_02 doesn’t have. The garment sleeve allows you to hold up to 2 suits and has sturdy but light foam hanger. There’s a rigid part at the bottom with instructions on how to fold the garment sleeve so that your suits will stay wrinkle free throughout your journey. I’ve tried packing a suit in the garment sleeve, and it’s pretty straightforward. The Lat_56 RW_01 carry on can be summarized as a luxury, fashionable workhorse with plenty of pros. 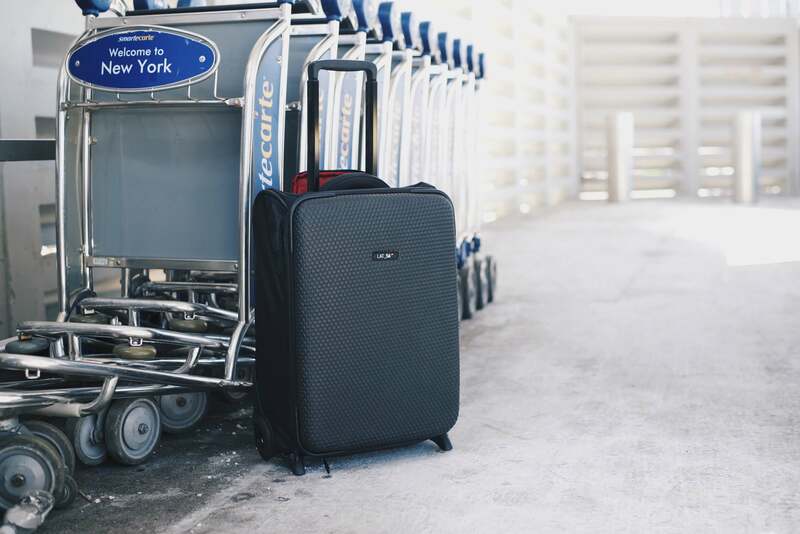 While some may think $449 is a lot for a suitcase, I would argue that it’s much better value than most Tumi or even Rimowa suitcases which are often found in the $1000+ range. Budget travelers can stick to their rucksacks, but if you want the best, get the Lat_56 RW_01 Road Warrior. 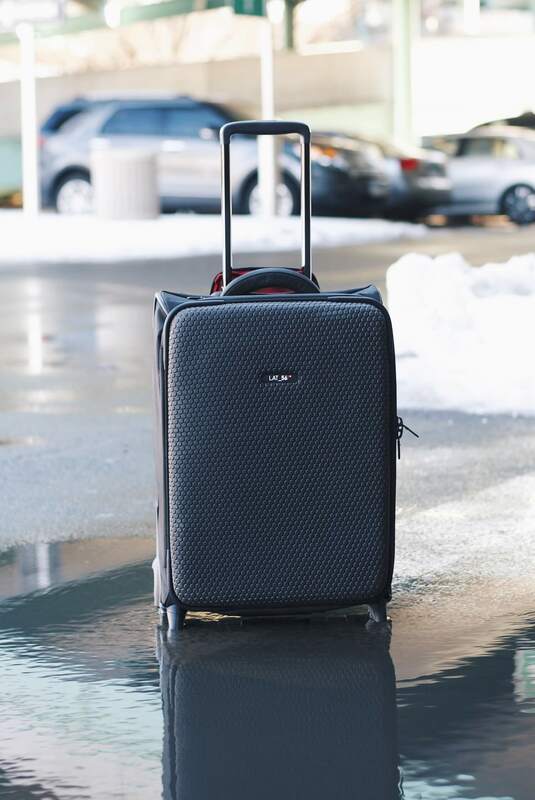 While you’re at it, read our Lat_56 RW_02 review or compare this suitcase with the Victorinox Spectra or the Lojel Lucid carry on. Have any questions or comments about this bag? Leave a comment below.